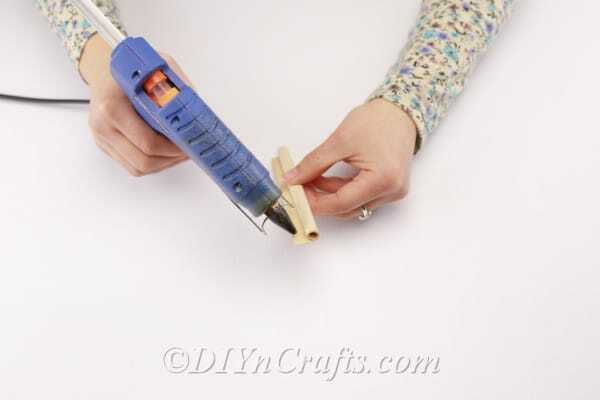 For this project, the only tools you need are a pair of scissors and some glue or double-stick tape. In terms of materials, you’ll need a rubber band, some lace, and an old book that you no longer want or need. 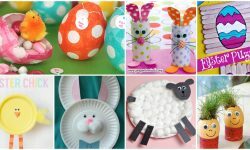 You will need a couple of other supplies as well for this simple Easter craft. You are either going to need a vase with straight edges or a regular glass that you drink from (it can be plastic or glass). The circumference of the cup or vase is not important, but the height is. You want to make sure that it is shorter than the width of a page from the book you will be using. Finally, you will need flowers to put inside. These can be real flowers or artificial ones. If there is anything else that you optionally want to add to the vase as well, you can. 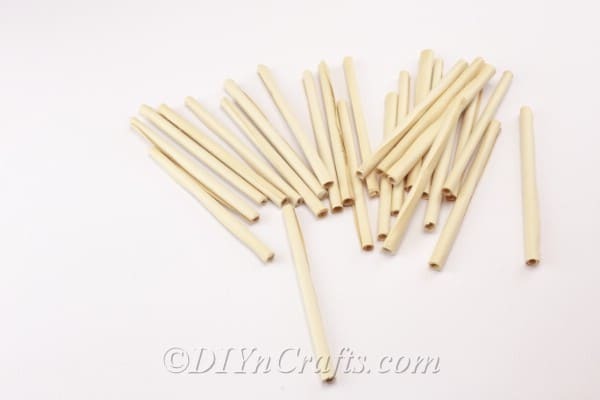 If you’re ready to begin crafting, find the full list of materials and tools below along with written instructions to go with the video tutorial. 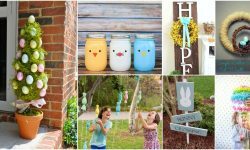 In search of a fun, fast and easy project to do to celebrate Easter? 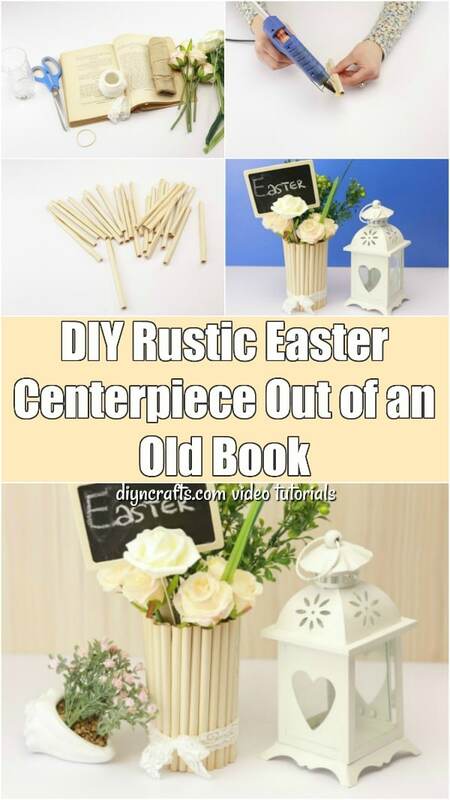 If you have an old book you no longer read and a few other basic supplies, you can create this stunning Easter vase to display. 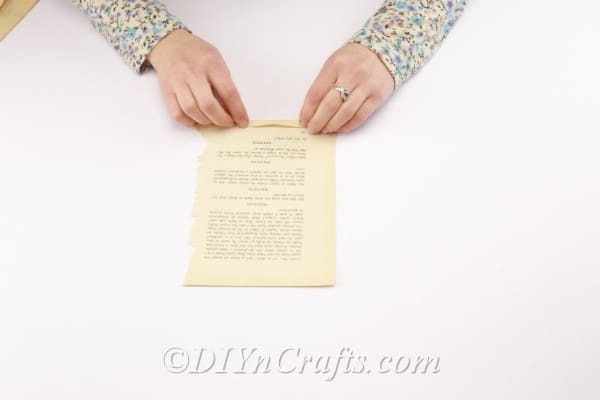 The first step is to tear a page out of an old book and roll it up from the bottom to top. Try to keep the roll on the thin and tight side. 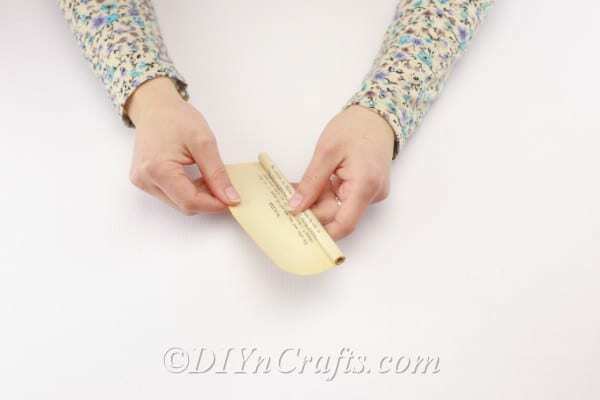 Use glue or double stick tape to hold the shape of the roll. Repeat the first step a number of times with a bunch of pages. How many you need to create depends on the size of the cup or vase you are using. 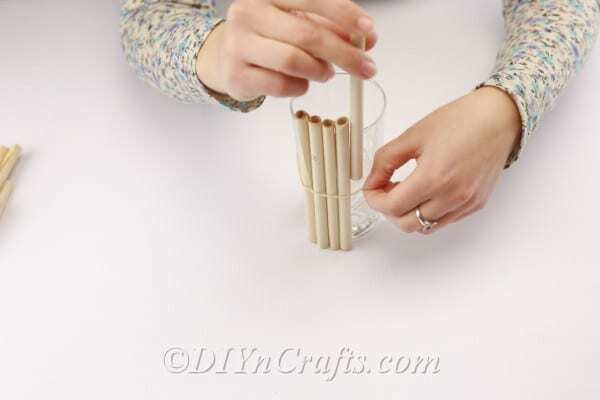 Get a rubber band and put it around the outside of the cup, glass, or vase you are using. 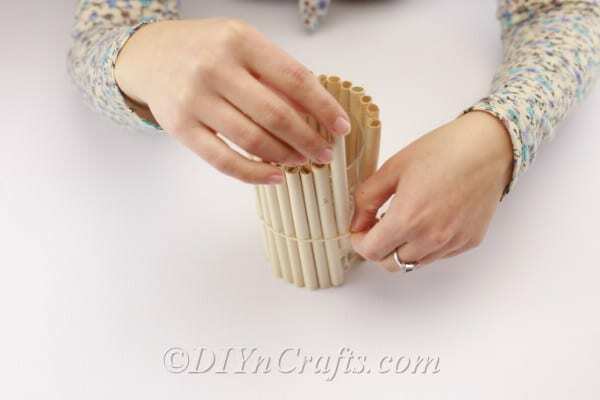 Note that if by any chance you can find a cup to use which has some sort of texture or beveling on the outside, the rubber band will be less likely to slip while you're working, which will make this project easier and will also make the finished result more secure. 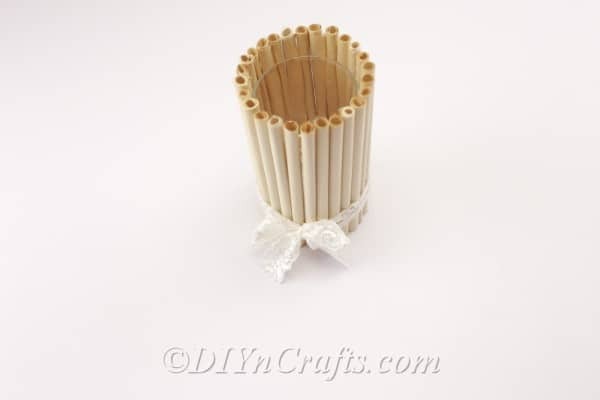 Now, insert the tubes of rolled-up paper in through the rubber band all the way around the vase or cup, placing one beside the other. The effect is similar to that of stalks of bamboo, reeds or so forth. 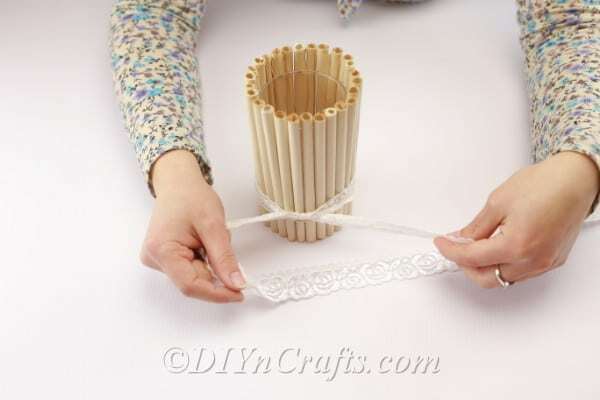 In order to cover up the rubber band and add more ornamentation to this craft, you will now tie a lace ribbon around the craft. This will also further secure the rolled-up book pages. Tie this tightly, but make sure that you do not squash the paper tubes. You're almost finished now. Just add your artificial or live flowers to the vase (put some water in the first if the flowers are real). Arrange them to your liking, and your craft will be ready to display. 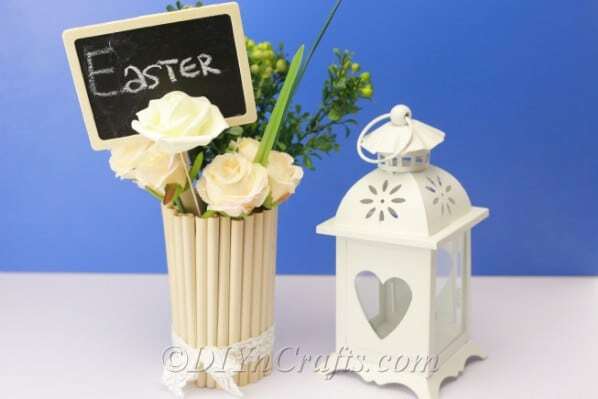 Once you have finished making this craft, there are so many different ways you can display it. 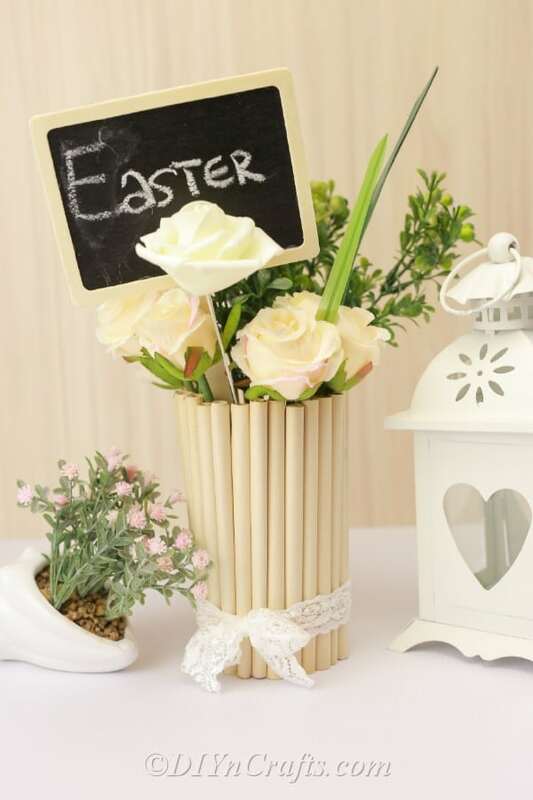 If you’re going to be hosting an Easter dinner, it can make a great centerpiece for your party. But it also can look nice sitting on any table, shelf or dresser in your home. 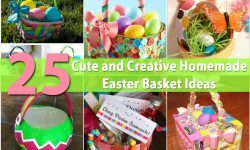 Even though this craft is intended for Easter, it is general enough that you actually could display it at any time of year. It has a romantic, vintage quality about it which can enhance any room. 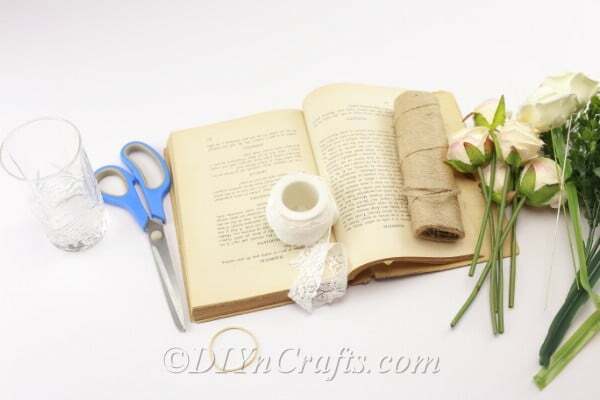 If you enjoyed taking this craft, another one which you probably will have a great time with is this one for making a romantic bouquet out of an old book. 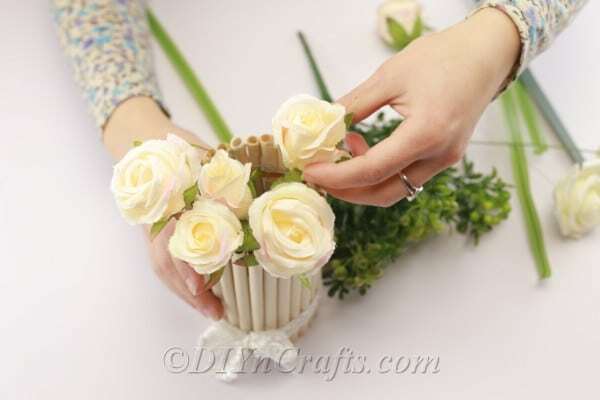 You also can check out 10 easy ways to make gorgeous DIY book page roses. You could even combine these flower crafts with the one we made in this video tutorial, placing book page flowers inside your book page vase! 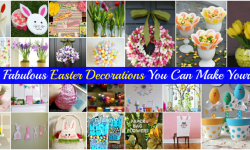 Want to try more easy Easter crafts to decorate your home? 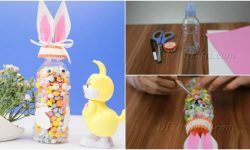 Try making a colorful candy vase decoration or craft an adorable paper Easter bunny candy holder with a free printable. 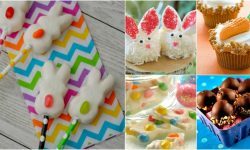 Check our archives for even more fun Easter craft tutorials, and come back soon to see what we have added since. Happy Easter!